SportsTG can setup you up a StreamSend account to enable you to send newsletters out to clients. Once logged in you will notice 5 menu items across the top of the page Dashboard, Subscribers, Create/send, Forms, Reports. The dashboard is just an overview of the account and a link to the other sections in your account. Contains all the information relating to your subscribers and is broken up into 4 tabs. You can do the following in the subscribers section. Fill out a registration form one by one for each subscriber you wish to add. Upload a file in tab delimited format. You can edit and fields in a members record as well as change which list they have been added to. Unsubscribe many members at once. Export your subscribers as a csv file. A list is sub-grouping of subscribers. Name these lists to describe your sub-grouping. A filter is a set of rules that describe a set of subscribers. You can use filters for anything; from sending a blast, to creating a list, to even removing people from a database. Date/Time: Store dates, times, or both. Create your content then schedule a blast to your subscribers. There are two options here, either building it yourself, or using a template. If you are using a typo3 website (SmarterWeb) then you are able to import the newsletter page that SportsTG has set up for you straight into the streamsend system. For those not using a typo3 site, SportsTG will set up a template which can be edited each time you want to send out a newsletter. Locate your page in the backend of your typo3 website. Usually the page will have news articles which will be automatically taken from your news articles folder and you will have the chance to edit a small amount of text images on the site. Once you are happy with how your template looks, copy the url of the page. Return to StreamSend and go to create/send > Build it yourself. Then select Import from webpage and paste in the url of the page you created in typo3. Once you have viewed this hit Save. You must tick the address tick box in order to proceed, once done hit continue. Step 1c: Text Version Enter the plain-text version of your e-mail (optional) is usually just ignored. Hit Send Email (this doesn’t actually send the message only takes you to the screen to send a page. Send a test so that you can see what your clients would see. Chose Send options – Send Now sends ASAP, Schedule for later, schedules a time to send the mail. Use a Template: There are several templates that you can use that are already in the system. In most situations SportsTG will set you up a template so this section can just be ignored. 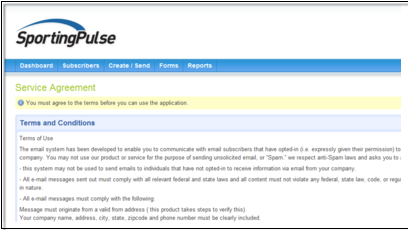 The forms section relates to the forms and email messages that the users see when subscribing to your newsletter. Email Messages: User can define what text goes to the user when they receive an email for the below. Thank You (Double Opt-In) edit [default] receive this upon sign up and must click an activation link to double opt-in. Activation Reminder Used when reminding subscribers who have not completed the double opt-in process. 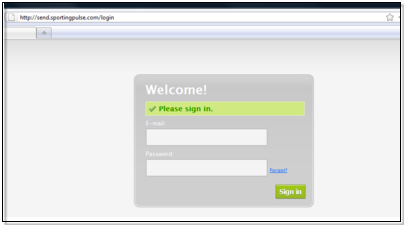 Website Tools: Setup by SportsTG. Update Profile/Unsubscribe: What the users see when they click update Profile/Unsubscribe. Information about which emails were sent/undelivered/bounced. The StreamSend definitions are below. Undelivered messages are soft bounces. Soft bounces could eventually be resolved. Issues such as full mailboxes are examples of what should show up when you export your undelivered addresses. Bounced messages are hard bounces. Hard bounces cannot be resolved easily. A specific domain not existing is an example of a hard bounce. For example, if you emailed someaddress@yhoo.com when the email address was someaddress@yahoo.com, this would show up as a bounced message. Addresses that result in a hard bounce are set to inactive. We advise not re-activating hard bounces because these email addresses are not good and will likely never be delivered to. The amount of views of the newsletter. These are broken up into. 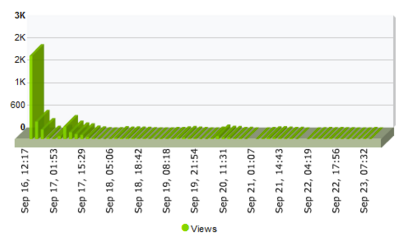 Total Views: All instances of recipients who viewed this email. Unique Views: Recipients who viewed this email. 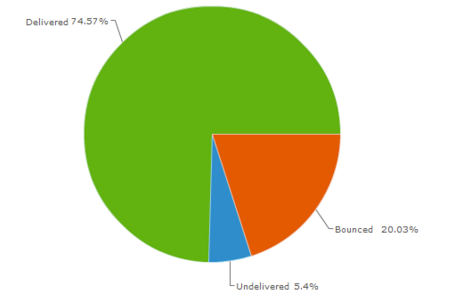 Shows what links the users clicked on in the newsletter and is broken down into. Total Clicks: All instances of recipients who clicked in this email. Unique Clickers: Recipients who clicked in this email. Unsubscribes: People who no longer wish to receive your emails. Shows any forwarded on newsletters.